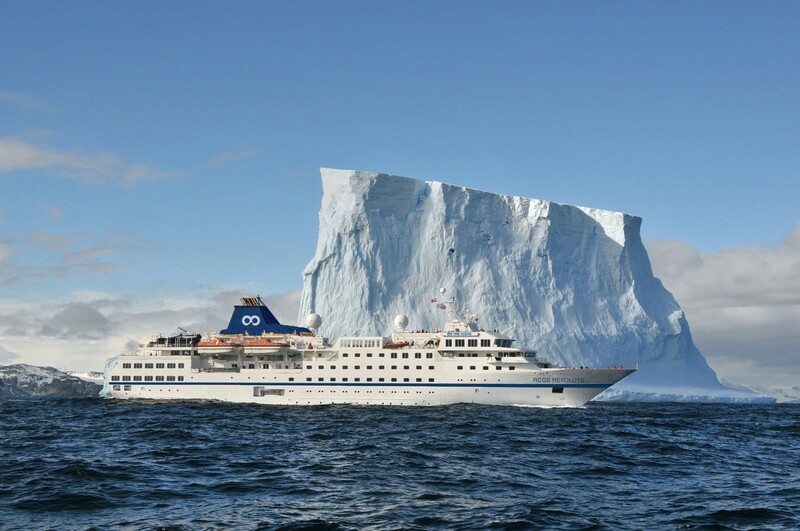 Towering glaciers, amazing wildlife encounters, snowcovered landscapes, massive icebergs and the option to choose your favourite activities every day make this popular voyage the perfect introduction to the white continent. In the waters of the Antarctic Peninsula, we spend our days off the ship exploring by Zodiac boat, making shore landings in the company of our expert guides. By breaking into small special-interest groups, we discover Antarctica and its remarkable wildlife through photography, Zodiac excursions, hiking onshore, and for the more adventurous, camping and sea kayaking. Visits to historic sites and active scientific research locations add another dimension to the voyage. enchanting South Shetland Islands. Here, we hope to visit Deception Island and other nearby locations such as the Aitcho Islands. This carefully-designed itinerary provides incredible diversity of both sights and experiences and showcases all of our favourite locations, discovered over more than two decades spent exploring the region. We depart Santiago this morning on our special charter flightdirect to Stanley, the small capital of the Falkland Islands. Weare met on arrival and transfer from the airport into town. Thereis time to explore the town or enjoy a guided visit to nearbyGypsy Cove which provides our first opportunity for observingthe local wildlife, including nesting Magellanic penguins andother sea birds. Making our way to the port, we board ourexpedition ship, RCGS Resolute in the afternoon. After settlinginto our cabins and exploring the ship, we meet our expeditionteam and fellow passengers. Excitement is in the air as weenjoy a welcome cocktail and cast off to explore one of themost remote regions on Earth. We chart a southerly course for Antarctica. The Drake Passageis rich in bio-diversity and showcases a great abundance ofwildlife. We will be joined by hundreds of seabirds including thewandering albatross. Photographing these magnificent birdstakes patience and skill and our photography expert will be onhand to show you the best techniques. Throughout the dayour onboard experts educate us with a series of presentationsabout the environment, the wildlife and history of the locationswe hope to visit in the coming days.There is great excitement when the dark cliffs of ElephantIsland appear on the horizon. This is one of Antarctica's mostimportant historic locations and a fitting introduction. On therocky beach at Point Wild, Shackleton and his men campedhere for many months under their three upturned life boats,having lost their ship, HMS Endurance in the thick sea ice, far tothe south in the Weddell Sea in 1915. 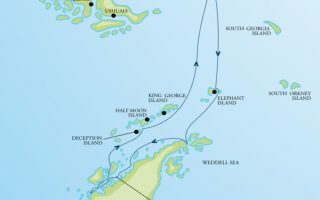 It was from this locationthat Shackleton and six companions set off on the rescuemission to South Georgia, aboard the tiny lifeboat, James Caird.To this day, the epic ocean crossing and crossing of SouthGeorgia on foot is considered one of the greatest tales in polarhistory. If weather conditions permit, we aim for a Zodiac cruiseto view the site from close proximity. This is a thrilling locationfor history buffs and sets the scene for an exciting expedition. Navigating into Antarctic Sound we witness for the first timethe vastness and majesty of the Antarctic icecap. It is an aweinspiringsight. We notice a significant increase in the numberof huge tabular icebergs entering the Weddell. These massiveicebergs break from the huge ice shelves to the south driftinghere on the prevailing currents. Adelie penguin rookeries ofstaggering exist here – some contain more than 100,000nesting birds. We have several antastic locations to considerbut the ice conditions will likely dictate our landing sites.Gourdin Island and Brown Bluff are two such locations featuringsubstantial penguin rookeries. The region is also full of historyof early exploration and has fascinating geological sites withthousands of fossils strewn over the shoreline. We have a busyday of exploration on shore, in the Zodiacs and on the ship.The Gerlache Strait is an important whale migration corridorand we encourage you to be on the bridge or outer observationdecks looking for the tell-tale blows of the migrating whalepods. With luck, we may even catch a glimpse of the residentorca group that inhabit this stretch of water. We have severalinteresting locations to explore over the coming days, such asCierva Cove or nearby Mikkelson Harbour. This area providesgreat excursion options on shore, in the Zodiacs and for thesea kayakers. We start to encounter much larger numbersof nesting gentoo penguins with their distinct orange beaks.Chinstrap penguins are another species we will begin to viewin the coming days. Kelp gulls, skuas and Imperial cormorantsare just some of the sea birds we expect to observe. It takesa sharp eye to spot the snowy white plumage of the Antarcticpetrel - always a treasured sighting for the bird lovers. We lookforward to a special Christmas dinner prepared by the culinaryteam - what a place to celebrate the ultimate 'White Christmas'! Anvers Island is one of the largest of the off-shore ‘barrier’islands of the Antarctic Peninsula. There are several outstandingsites here as well as on neighbouring Wiencke Island. Theselocations provide us with opportunities to venture on shore,breaking into smaller groups. Enjoy a short or longer hike, wander over to observe penguinsguarding their precious eggs or newborns on the nest, cruisein the Zodiacs or just sit and soak it all in. 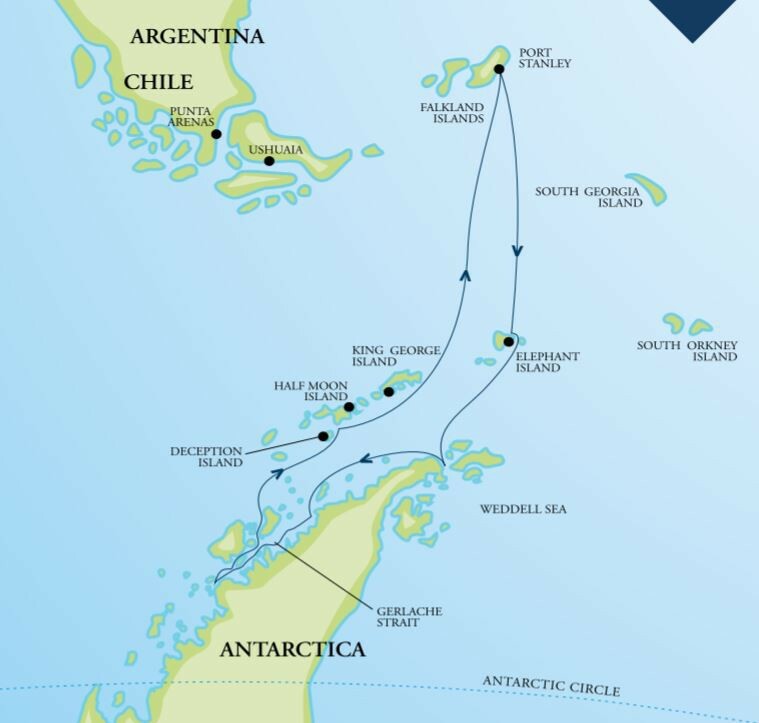 The choice is yours.A short transit across the Gerlache Strait brings us along theactual continental landmass of Antarctica. A potential shorelanding at Paradise Harbour will be a highlight for many – asyou step foot on the continent proper, for the very first time.A nearby hike up a snow-covered hill provides staggering360-degree views. A Zodiac cruise or paddle into the nearby ice‘cathedral’ of Skontorp Cove is another memorable experience.If the conditions are right, we aim to offer our overnight campingprogram to all adventurers somewhere in this vicinity. We haveall the gear onboard and an experienced team to make this anight to remember. However, camping always depends on theweather and this activity is never guaranteed on any voyage.One of the largest gentoo penguin colonies along this stretchof coastline can be found on Cuverville Island, situated atthe northern end of the Errera Channel. This is an importantresearch site with the populations being carefully monitored byvisiting scientists. Our naturalist guides will be able to tell youmore about this important work. Cuverville is a good locationfor a Zodiac cruise and a circumnavigation of the entire islandis sometimes possible. Other locations in the area we hope toexplore include Willhelmina Bay. This is a known whale 'hotspot'.This is a magnificent location with towering glacierstumbling off the mountainous spine of the Antarctic Peninsula. The adventure is not over and if the weather conditions allow,we sail the ship into the flooded volcanic caldera at DeceptionIsland. This is a very dramatic place and history is all aroundus as we explore the old whaling station. At the far end of thebeach is an old aircraft hangar. This is where Australian, SirHubert Wilkins, made the very first flight in Antarctica in 1928.The nearby Aitcho Islands provide some great hiking routesshowcasing the colourful mosses and lichens found on theisland. Gentoo and chinstrap penguins nest here and on thebeaches, and we usually encounter seals coming and goingfrom the surrounding waters. Fort Point situated on GreenwichIsland is another possible location for a visit. Eventually weleave the snow-covered peaks of Antarctica behind us, pushingnorthwards on our return trip to the Falkland Islands. As we make our way back to Stanley and the Falkland Islands,the educational presentations continue, and we enjoy anentertaining and memorable voyage recap by our ExpeditionLeader. Join our photography experts at the multimedia stationand download your precious images. Approaching the coast ofthe Falkland Islands in the early evening light, we enjoy a specialdinner attended by the Captain of the ship. This morning we find ourselves back in the port of Stanley. Wesay goodbye to our crew and after some free time in town,make our way to the airport for our return charter flight toSantiago. On arrival in Santiago our journey comes to an end.Onward regional and international flight connections may bepossible this evening. Discuss the options with your bookingagent. A transfer is provided to a downtown location for thosechoosing to stay and explore Santiago and the delights of Chile.